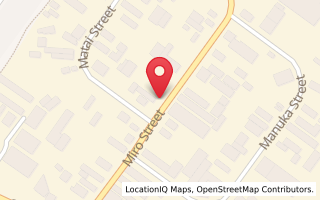 A qualified Spray Painter trained in Auckland. Upon finishing his apprenticeship Lou travelled overseas, came back to NZ and worked in some of Auckland’s most prestigious repair shops. He became NZ Sales Manager for Glasurit automotive paints, travelling around the country in this role and spent a lot of time visiting different repair shops. 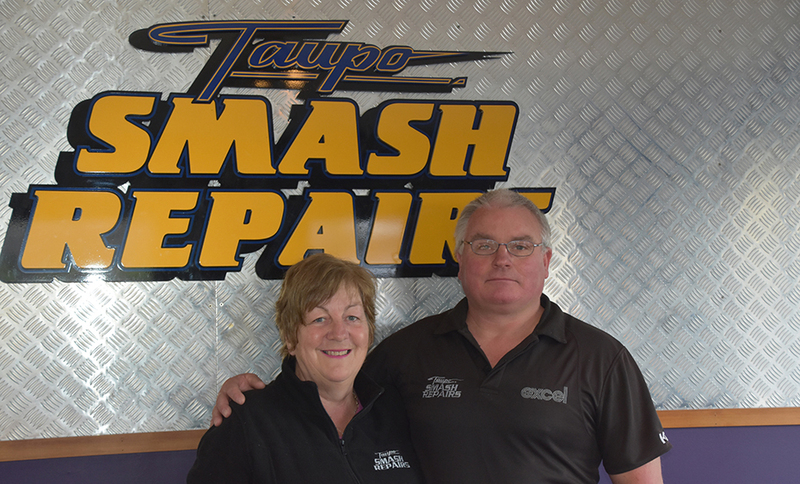 In 1998, while holidaying in Taupo they came across a Taupo Smash Repairs FOR SALE notice in the local paper. So with their 3 young children they decided now was as good a time as ever to escape the rat race of Auckland and move the family to Taupo for the quintessential KIWI lifestyle. Recognising the need to upgrade the workshop they purchased a heated paint booth and spent the first 5 years pouring money into the business to upgrade equipment with the latest technology to enable repair work on modern vehicles. They also realised that the future of the Collision Repair Industry required new technicians to be trained and have spent the last 17 years training apprentices in both the panel beating and spray painting areas of the business. The business now boasts 2 Qualified Panelbeaters and one apprentice Panelbeater, 2 Qualified Refinishers (Car Painters) and one Apprentice, and 2 Front of house staff looking after the administration / quoting / assessment etc. More recently both Lou and Lorraine have become heavily involved in the Local Rugby League Club with Lou coaching and Lorraine being Club Secretary. In winter in Taupo when a lot of people hibernate from the cold these two will more than often be found on a side-line of a footy game – or out mountain biking somewhere around our beautiful countryside. A qualified Hairdresser - upon finishing her apprenticeship she also travelled overseas. On returning to NZ Lorraine bought her own Salon in Auckland. From humble beginnings of working alone, she moved the salon and grew the business to a staff of 6, training numerous apprentices during the 15 years of ownership. Lorraine sold the Salon to focus on being a full time mother and quickly became involved in lots of community work while juggling three young children. In moving to Taupo Lorraine was able to continue her community involvement and threw herself into numerous community events while using her business skills to support Lou and the Taupo Smash Repairs business from a home office. Lorraine held the Role of President of the Waipahihi School PTA for 8 years and in that time was heavily involved of the building of the school Hall, and was instrumental in starting the Ironkidz Triathlon as a Fundraising event for the School Hall. Over her time as President there was over $100,000 raised from varying events. The Love of Event organisation has seen her hold a position on many of Taupo’s long standing events. In the early days there was heavy involvement in the Taupo Motor Cycle Club (Taupo MCC) which saw Lorraine take on many roles during Monthly Club meetings and Major Events, like the The International MotoX Event which saw top Riders from around the world converge on Taupo. Other events involvement saw Lorraine on the organising committee of the Levene Half Marathon which went on to become the Mizuno Half Marathon- Volunteering at Ironman NZ in varying roles since it moved here to Taupo in 1999. More recently being in charge of the finish line crew assisting athletes as they finish the gruelling event. Junior Rugby took a lot of hours during the early days when both the boys played – which led to King Country Representative roles – Managing the King Country Under 17 team. Lorraine has taken on the role of running The Taupo Badminton Club and bringing it back from the point of extinction and coaches Juniors and then runs Senior Badminton on Monday evenings.